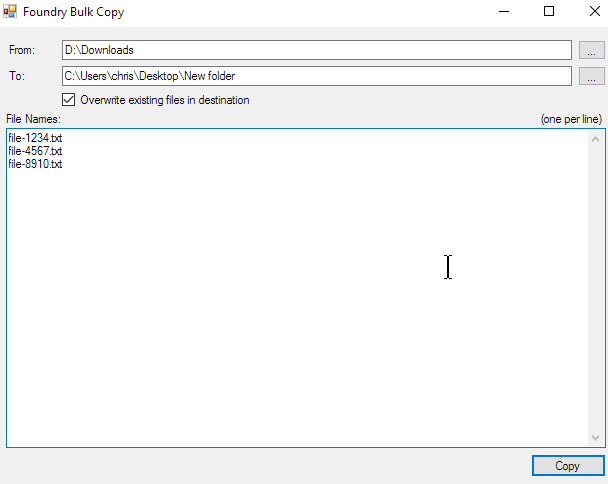 Batch copy files from folder to folder based on a list of file names. Pick the from and to folders, and put your list of file names in the file names box. Make sure to use a new folder for the To box (or uncheck overwrite). When you're ready to go, hit the copy button. Then copy the B column and paste it in the files box in the app.